Is Noctua finally releasing fans with 'Active Noise Cancellation Technology'. 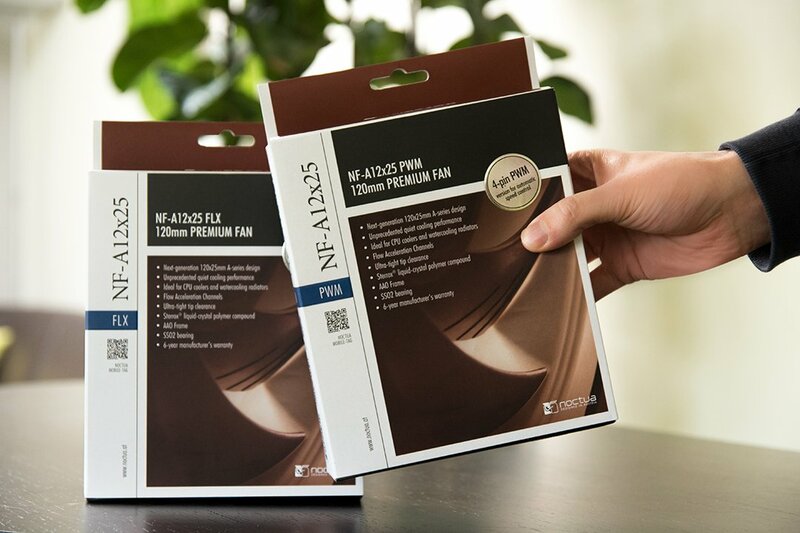 Read more about Noctua's upcoming NF-A12x25 series fans. There fans are already "premium" priced so these will be insane. I think most of Noctua's fans say premium on the box. I hope that Noctua has finally sorted out their Active Noise Cancellation tech. That tech lines up perfectly with Noctua's "4 years in the making" stuff. After all the recent releases, say the past year or so, I was rather worried they were slowly abandoning their traditional colour scheme. I am glad it is not so, as I love how distinguished and unique they look. Looking forward to these and I also hope they do the 2000 and 3000 RPM versions of these too. as I love how distinguished and unique they look. You misspelled ugly and not fitting into any color scheme.